No matter if you have a flat tire, you’ve run out of gas or you need to be towed, nowadays there are apps that can help with every emergency you encounter while you’re out on the road. These apps can be quite helpful and save you a lot of time and money, getting you back on road fast. Among many of these apps, finding the most reliable one is not easy. Because of that, to make the search easier for you, we searched and discovered an amazing app for roadside assistance. Let’s see what the app is about. What is Tow Teck all about? 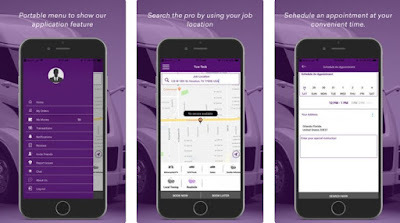 Tow Teck, as a on-demand roadside assistance and towing service, is developed for both Android and iOS users, offering a simple and yet reliable and efficient way for them to get assistance on the road super-fast without paying subscription fees, no matter where they are and when they need it. With the app, users will get in contact with assistance providers and get back on the road quickly because the help is within the reach, dealing directly with certified road technicians via the web. All these roadside assistance services are available 24/7, each day of the year for every customer. The features offered on this app will help each user that is on the road, anytime and anywhere get back on the road fast with the roadside assistance and towing services available. On the app users will find a portable menu with all features shown and the app can be used for the user to schedule appointments at a convenient time, getting a perfect view of the task requested details. Also, by using the app, the user is able to get a local towing service within city limits, up to 10 miles, wherever he is. The app is offering more than that, the user can request even a fast flat tire change, replacement services, and fuel delivery, battery charge, and replacement, and even fast reliable car key replacement too. Because the app is very reliable and powerful, users will get immediate access to towing and more of the services offered by the Tow Teck partners with over 20 years of experience offered. The app is also affordable and flexible, family friendly which allows users to add family members and protect their loved ones without hidden charges or additional fees to be paid for the services. Users can also find available a pro version of the app to try. Download it for free on Google Play and App Store to request on-demand roadside assistance and towing!